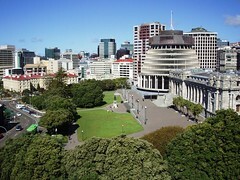 Today new changes to the New Zealand tax system will come into effect, which the government believes will “rebalance” the economy towards higher levels of savings and economic growth. As outlined in the last New Zealand budget, released in May 2010, on April 1st 2011 the country will see several changes to its tax system. Among other changes, the most significant is a 2 percent cut to the corporate tax rate, bringing it to a level of 28 percent. The New Zealand Finance Minister Bill English commented on the change at a press conference in Wellington on April 1st, saying, “…cutting the company tax rate will make New Zealand more competitive and increase incentives for businesses to reinvest earnings back into jobs and growth.” However, he conceded that the rate drop will also bring about a NZD 1.1 billion decrease in corporate tax revenues over the next four years. According to the Finance Minister, the revenue losses will be compensated for by significant reductions in government spending. In addition, tax authorities expect to see higher tax collections arising from the removal of rules allowing businesses and landlords to claim depreciation on buildings with estimated lifespan exceeding 50 years. Loss attributing qualifying companies will now be abolished and replaced with Look –Through Companies. Income assessment for the purpose of eligibility testing for welfare programs will be tightened to include family trusts and excluded losses arising from rental property holdings. The thin capitalization safe harbor for multinational companies will be reduced from 75 percent to 65 percent, and international entities will only be able to claim tax deductions on interest payments for debts below 60 percent of their local asset value.